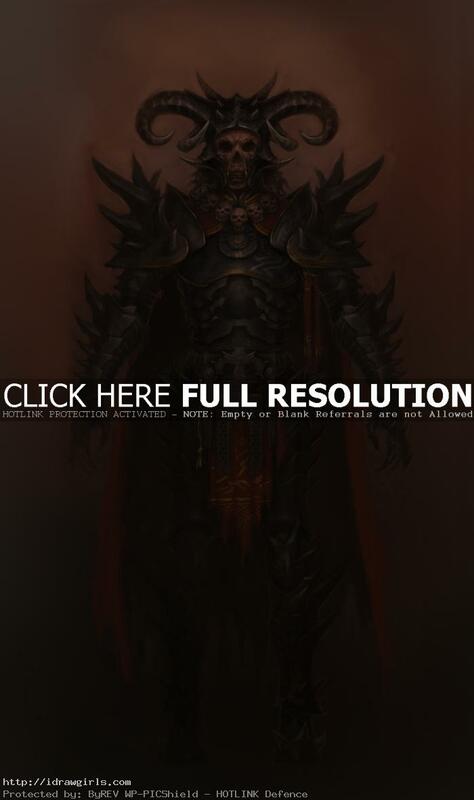 Guild Wars 2 concept art evil warrior character armor concept. This is a concept art I did for Guild Wars 2 back in 2010. It is a high level armor for warrior and necromancer class, I believe. Almost all of the time a lot of us, concept artists, would paint in Photoshop using Wacom tablet from the beginning sketch to the finished concept art. This one takes me about a day and a half because I have to make all the detail visible enough for the 3D modeler (artist) to see. So that they can take the concept and make 3D mesh from it with clear visual. Anyway, I wish I have step by step for this one, but I don’t. So I am just posting it here to show you guys some of my professional art work back then. I haven’t spend more than a few hours to finish a painting in a few years. Well, it is because I usually record a video tutorial or make a speed, quick painting for tutorials. Moreover, I found of painting and drawing from life which usually takes less than a few hours, most at six hours limited time to paint. So I am use to that and the painting will still progress along without having to spend days or weeks in just one painting. That’s why I become a concept artist to begin with. A lot of concept artists would spend a day cranking out a few concept art piece, sometime we spend more for the showcase pieces. But most of the time, we have to be able to do three to five concept a day if needed. Also I am trying to keep this art tutorial website alive and always up to date for beginners to intermediate. Sooner or later I will have to spend more time to make some refine painting. I used Intuo medium and large. If you are serious then go for intuo or big cintiq. If you are just doing it for pleasure, anything would do.